A lovely patriotic Piccalilly circus London print on a super soft organic cotton nightgown. 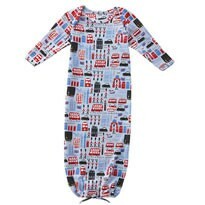 Fantastic for babies during sleepy time because you get easy access to the bottom area for speedy nappy changes. 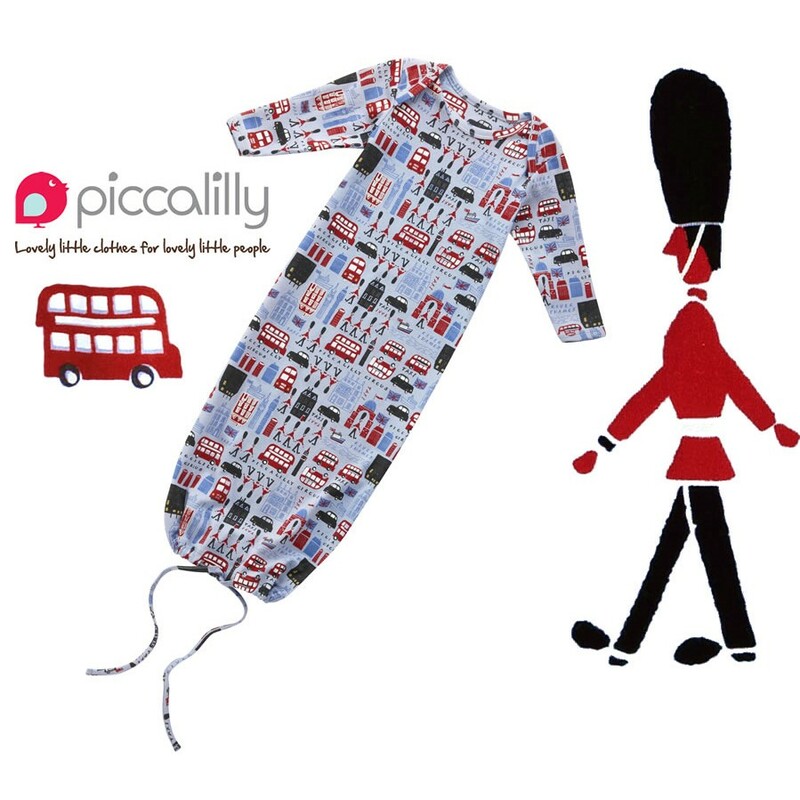 Matching hat, playsuit and other items available, makes a lovely gift. 100% GOTS certified organic cotton & fairly traded. Machine washable.